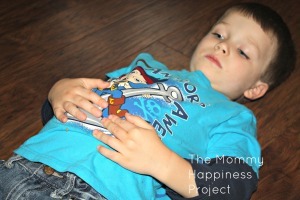 Today I wanted to share my “go to” parenting skills during tantrums. I know a lot of parents use time outs or may even ignore. 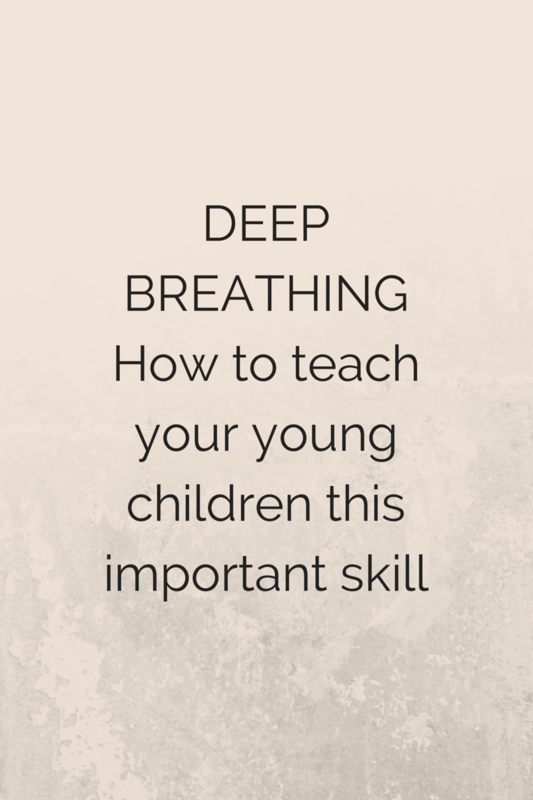 I am working on teaching my kids deep breathing or belly breathing. Try taking a moment and take a deep breath. What did you notice? As adults, often we think taking a deep breath is filling up our chests and many struggle with not understanding why that deep breath does not help relax them. That is not the deep breath I am referring too. That type of breath can actually cause more anxiety. Deep breathing or belly breathing is taking the breath all the way to the belly. Imagine a balloon in your belly being blown up with air. Below I am going to teach you how to teach your kids. But first, to teach your kids you need to learn. Here is a quick video that does a good job explaining it. Deep breathing is good for all of us whether you are the parent or child. Deep breathing relaxes and calms us down. I highly recommend practicing deep breathing every day and not when you are stressed, but rather when you are calm and can concentrate. It will make it easier to use when you are upset. 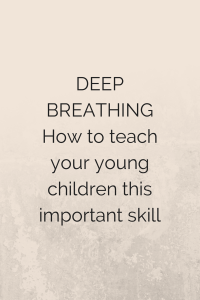 I started to teach my kids deep breathing because I quickly realized that I needed to teach them skills to help calm themselves down when they were upset. When you have two close in age there tends to be a lot of fighting and crying over toys! I found myself getting frustrated because both would be crying and I couldn’t figure out what happened since both couldn’t calm down to tell me. As a therapist, I often teach people I work with the benefits of deep breathing and use it myself. So I developed a variety of ways to teach these skills to my kids. I tried different ones until I found the one that works best. When you find one that works, I suggest having that be your “go to” because when kids are upset, they need to have a reminder of the skill that is consistent. I first introduced the topic to my kids while we were playing. I would put a stuff animal on their belly and worked with them to learn how to breath so the stuffed animal would rise. Chances are your child may naturally do that. If so, then point that out and talk about it. Another way to teach it is have the child lay their hands on their belly with their middle finger tips touching. As they breathe the finger tips should spread apart. Make it a game. Remember to breathe through the nose and out of the mouth. Stuff animal example-and yes I am aware he has food on his face. I guess I didn’t think it was important to clean before the pictures. When I put my kids in their car seats I would say something like “Oh how far can you blow my hair (I have long hair)? I would also put my hand close to their face and say “How far can you blow my hand away”? Making a game out of it makes it easy to practice. You can do that in 30 seconds and it gets them to practice. It became our thing to practice when we would get in the car. Find a time that makes it easy for all of you to remember to practice. When your child seems to have the ability to use the skill when you ask, try having them do it when they are upset or crying. Do not send the child away such as in time-out; rather work with them do the deep breathing. Sit or hold them and do it with them. I set the pace with the my own breath, often exaggerating it so that my child understands. Our way of deep breathing and a signal for them is me putting my hand up for them to try to see how far they can blow my hand away. Sometimes this “game” of deep breathing also distracts them from whatever they were upset about and sometimes it is not the time. I am flexible to what their needs are. Please remember that this to will take time and to practice. Here are some pictures of my “go to” way of having them deep breathe-putting my hand near their face and having them blow it away. As you will see, I move my hand away, showing him how his deep breath pushed my hand away. This works for my kids because we practiced this method. If you don’t practice this method, it may backfire as a lot of kids probably do not want a hand in their face. Sometimes my younger one doesn’t want to blow my hand away, so I just work on my breathing to set the pace and have him follow it. Eventually he will usually do it at least once when he has calmed down. My kids are very use to their deep breathing now. Although it is not perfect, if I work with them usually in just a few short minutes they will be calm and then we can actually talk about the problem and work out a solution. This morning my 2-year-old woke up at 4:30am and thought it would be a good idea to go down stairs. 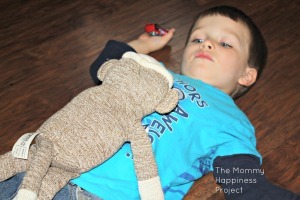 When he was told no and to go back to bed he became VERY upset-enough to wake up his brother. 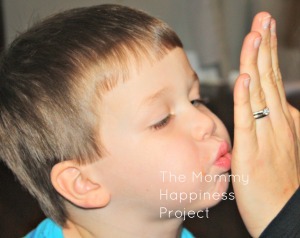 As I began to work with him on his breathing, my 4-year-old came out of the room and said, I will show you how to do it! In my perfect world we all did some deep breathing and went back to bed. That did not happen. But what did happen is that my 2-year-old calmed down and we were able to lay back down and try to get some sleep. Please let me know if you try it! It really has changed my life in my parenting skills. Final thoughts: Remember you have to practice. My kids got this within a week or so. Some days will be better than others. You need to help guide them. Sometimes I think we just assume our kids should know how to calm down but really someone has to teach them. If your kids struggle with anxiety, this is a great tool to teach them as well. It can be done without anyone even noticing. Also moms, when you need that much needed BREAK and hide in the bathroom for a few minutes (lets face it we all do it and possibly with chocolate) use that time to practice your deep breathing. It can be a game changer. Good Luck! 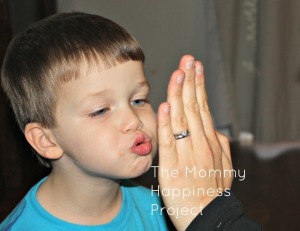 This entry was posted in happiness and tagged parenting.